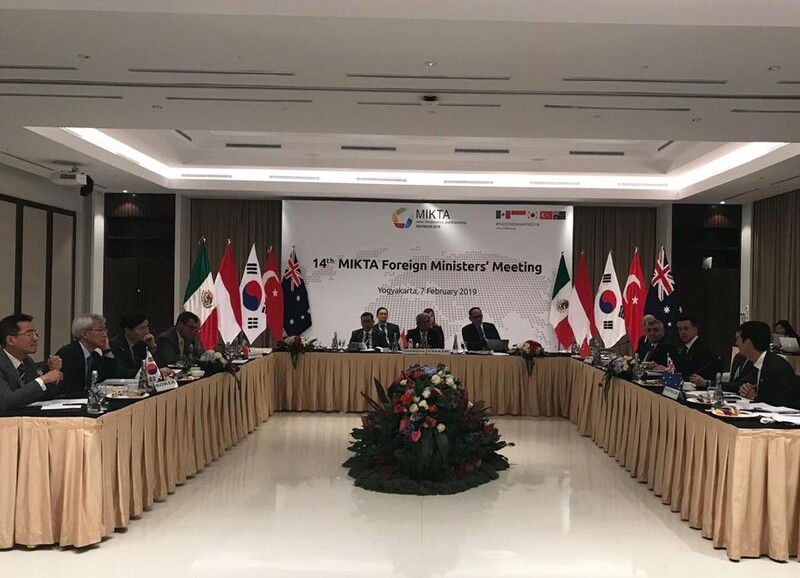 Deputy Minister of Foreign Affairs and Director for EU Affairs Ambassador Faruk Kaymakcı attended the Foreign Ministers’ Meeting of MIKTA (Mexico, Indonesia, S. Korea, Turkey and Australia) Initiative, which was held in Yogyagarta-Indonesia on 7th of February, 2019. The global issues covering multilateralism, counter terrorism, irregular migration, MIKTA 2.0 and UN’s Sustainable Development Goals were on the agenda at the meeting. 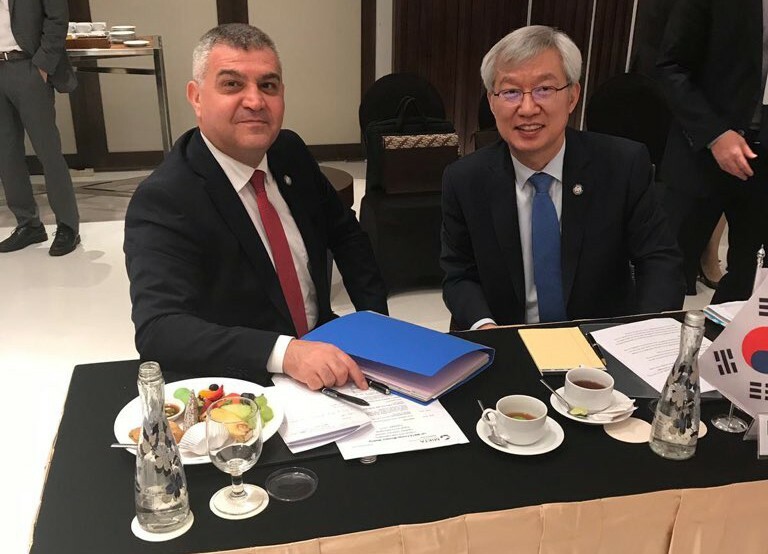 Deputy Minister Ambassador Faruk Kaymakcı came together with Mexican Deputy Foreign Minister Julián Ventura, Indonesian Deputy Foreign Minister Abdurrahman Fachir and S. Korea Deputy Foreign Minister Lee Teaho on the margins of MIKTA Meeting. Bilateral relations between the members of MIKTA, which have common perspectives on the regional and global issues, were discussed in details.